Flesh-eating bacteria victim Aimee Copeland refusing pain meds because of personal "convictions"
(CBS/AP) Aimee Copeland, the young woman who contracted a flesh-eating disease while riding a homemade zipline on a Georgia river, is trying to avoid the use of painkillers in her treatment because of her beliefs about holistic healing, her father said. Aimee Copeland despises the use of morphine in her treatment, despite its effectiveness at blocking her pain, her father, Andy Copeland, said online Friday in an update on his daughter's condition. Her graduate-school study of holistic pain management techniques leads her to feel she's a "traitor to her convictions" when she uses drugs to manage her pain, Andy Copeland said. He also said the morphine has been making his daughter groggy, confused and has given her unpleasant hallucinatory episodes. 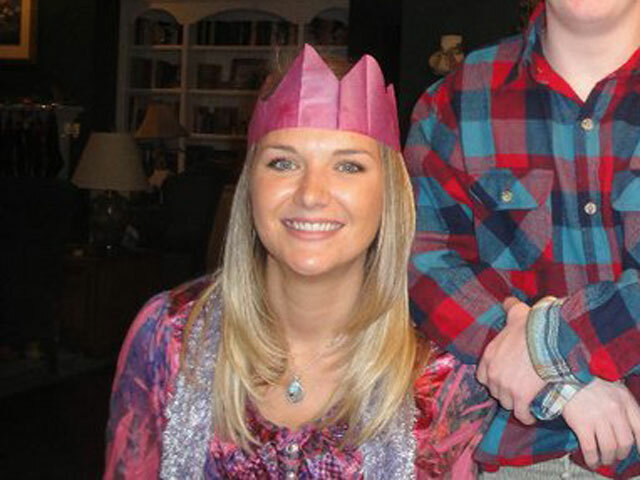 Andy previously wrote that Aimee had been talking with doctors about using meditation and other holistic techniques that she researched for her master's thesis to manage her pain, HealthPop reported. Aimee Copeland, 24, developed necrotizing fasciitis after cutting her leg in a fall May 1 from a homemade zip line over a west Georgia river. Her left leg, other foot and both hands have been amputated. The specific bacteria, Aeromonas hydrophila, is found in many freshwater sources and brackish water, according to the FDA. On Tuesday, Copeland's condition was upgraded from critical to serious, "a major victory that cannot and should not be diminished," Andy Copeland wrote Friday on his blog, where he has been providing regular updates on her progress. The development came shortly after Aimee Copeland had her first successful skin graft. Serious condition means the patient is still acutely ill and has unstable vital signs. "The area of her wound, which I saw for the first time on Sunday during a dressing change, is massive," Andy wrote Friday. "The nurse who completed Aimee's dressing change was astonished at Aimee's insistence to avoid morphine during the procedure, as was her mother and I," he wrote. "I know the pain was significant, but Aimee's courage is greater." Her father wrote that he was optimistic that his daughter would leave intensive care in the next two or three weeks, when she will be moved to the hospital's rehabilitation area, HealthPop reported. The bacteria that attacked Aimee Copeland's wound releases a toxin that destroys skin, muscle and a layer of tissue below the skin known as fascia. Despite the painful skin grafts, Aimee Copeland has crossed several milestones in recent weeks. She can breathe on her own, she no longer needs dialysis and she's now able to eat on her own, her father wrote. Although her major organs are all functioning well, Aimee Copeland still needs supplemental nutrition through a stomach tube. This weekend, thousands of people are expected at a long-planned fund-raising event outside Atlanta to help the family with medical expenses. The two-day benefit concert in Aimee Copeland's hometown of Snellville begins at 5 p.m. Friday and continues through Saturday night.